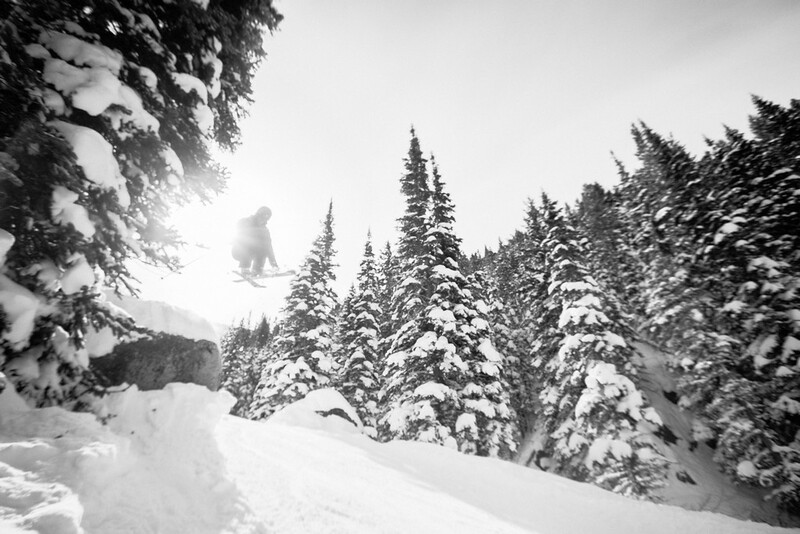 PAUL BELLINGER PHOTOGRAPHY: BILLINGS MONTANA PHOTOGRAPHER – GOODBYE SWEET SKI SEASON! BILLINGS MONTANA PHOTOGRAPHER – GOODBYE SWEET SKI SEASON! It’s that sad time of year when we bid farewell to the snow and the slopes and put the skis away for the year. This winter was too short and not cold and snowy enough for me! Now we’ve hit a warm spell and the snow is pretty much ruined at Red Lodge, and there doesn’t appear to be any more snow on the way. The powder is long gone. It was a fun season for me, even though we didn’t get great snow until February. I was lucky to get in a few powder days with my friend Ryan, who didn’t mind posing for a few photos in mid air. I’m already dreaming of the fresh powder next winter will offer! Until then I’ll just have to suffer through another beautiful cycle of spring, summer and fall in Montana and all it has to offer. Let the next adventure begin! Ryan was kind enough to hit this huge rock jump for me and when we saw this image on the back of the camera it was so cool that he had to do it again so I could try for something a little more “in focus.” But the landing on the hard pack was rough so we thought he could squeeze into the powder right next to me. He ended up landing partially on me! And to add insult to injury, I still liked this out of focus shot better! Oh well, I wasn’t hurt at all and it was worth the try! I love being a photographer in Montana. It’s such a beautiful place and the more I get to know it, the more I am grateful for living here. I take my camera everywhere and I never stop shooting. I am obsessed with photography and honing my skills. I do something photographic everyday, usually most of every day, and my passion only seems to get stronger over time. I look forward to facing each day as a photographer and getting better with every challenge while I explore this beautiful land. I'm a lucky man and I won’t take it for granted.